For years the marketing mantra has been "target the best 'avatar', hit their 'pain points' and focus on KPIs" (Key Performance Indicators). So why are 80% of new leads consistently less than qualified, or just plain wrong? Meanwhile, sales have been drilled to“overcome objections” and “close” more prospects. This WASTES 80% of their time on leads they shouldn’t even be talking to, sucking their focus from the lucrative 20% of prospects and clients that generate 80% of your revenue! What’s needed is a Marketing+Sales Partnership that bridges the gap between both teams, and gets you MORE of the right leads (and less of the rest). Now your sales can start producing the numbers they should! Isn't it time YOU get more of the great high-revenue Ideal Clients you want most, and less of the ones you don’t want? Known as "Biz Dev Guy," Tim Johnson understands what it costs your business when your marketing and sales processes aren't smooth and consistent with each and every customer contact. Tim learned the hard way by building several successful businesses including as a general contractor and investor. When he found his own success ended up consuming more and more of his life, Tim searched for solutions to streamline his operations, to fix the "holes" in his staffing, sales and marketing processes, and put in automated systems and processes that made sure his clients had the same experience, consistently, time and time again. His efforts paid off: Tim saw his business grow by double digits while cutting his workload by two-thirds. He realized there were many others who were Smart, Talented, Unique, Person In Demand™(S.T.U.P.I.D.™ ! ), experts in their space whose companies had the quality solutions their market craved. However, they either weren't getting the right message through to their ideal prospects or didn't have proven prospect-to-client systems to consistently retain more customers and boost the lifetime value of each one. 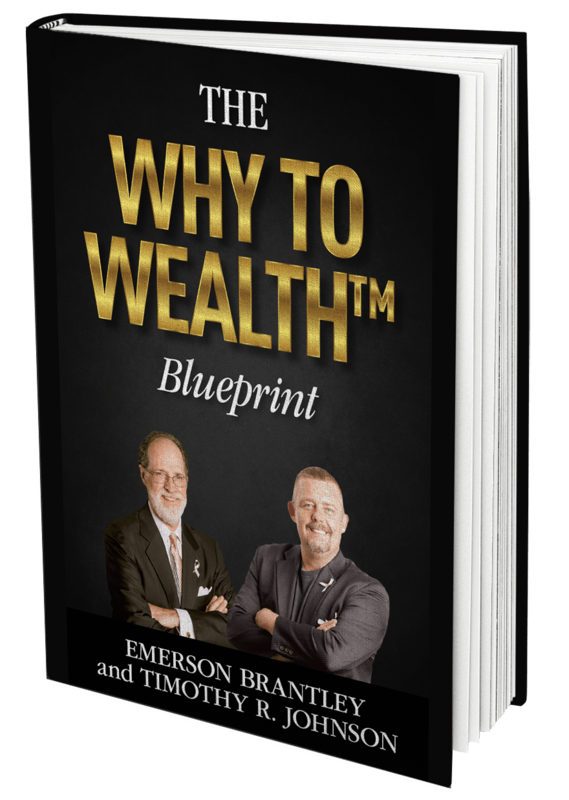 Combining his extensive experience systemizing business and sales solutions, Tim has teamed up with top marketing strategist and seasoned copywriter Emerson Brantley to create the Why-To-Wealth™ Marketing & Sales Strategy System. Where Emerson's proprietary Whytology™ Process zeroes in and uniquely qualifies the most lucrative prospects in your market, Tim's Proven S.O.L.D.™ Business Development Process takes them by the hand, automating your entire customer acquisition and development process, increasing average and lifetime sales and allowing you to scale your business for unparalleled growth. To find out if your business qualifies for a "Boardroom" day to help you and your team get laser-focused on the mission critical elements that will make -- or break -- your business, contact us using one of the options above. In most cases, we will be able to eliminate the time- and money-wasters that are holding you back, map out an easily-implemented Marketing and Sales Strategy, provide the copywriting for the exact Message to Market Match you need to reach your Ideal Prospects and get more of them to respond. We can help you systemize your entire process and in the end, help you create the business you always wanted -- one that provides for you, your family and employees, produces ongoing leadflow of qualified prospects, long-term, high lifetime value Ideal Clients and the life and lifestyle you deserve. Contact us personally and we will quickly determine -- usually in under ten minutes -- if you qualify and how exactly we may be able to bring these advantages to your business. 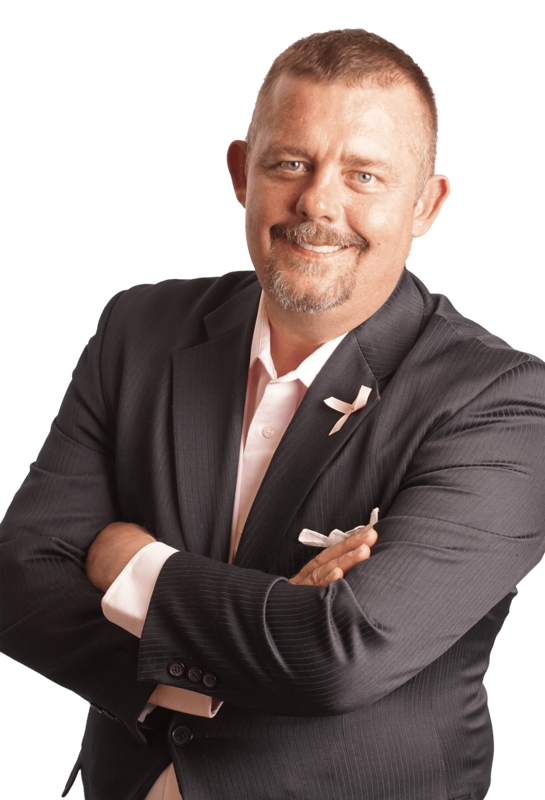 As a Master Marketing Thought Leader, Strategist & High-Conversion Copywriter, Emerson Brantley has masterminded over 8600 successful marketing campaigns, launches and tests for clients in the U.S. and 21 countries. He is perhaps best known as creator of the longest-running lead-generating television infomercial ever aired, the "Cash Flow Generator," generating millions insales nationwide and 1500% growth, two Inc. 500 listings and a €132,000,000 IPO. 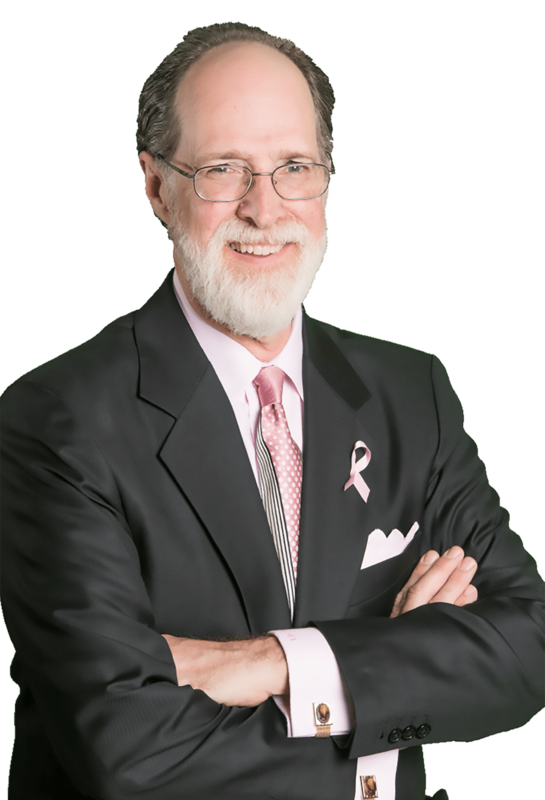 His elegant marketing strategies and compelling copywriting has earned his reputation of creating often overwhelming results for his clients, such as 17,859 webinar registrations; 5,442 attendees for a single event; $10.52 EPC (Earnings Per Click) and $2.41 per email; 39% Squeeze Page Optins, 68.5% Converted To Offer (from cold Facebook leads) and 3000 media events in a single weekend. Direct Marketing guru Ted Nicholas called Emerson "One of the Country's Top 50 Marketing Copywriters, based on the ability to generate sales" like these. His Whytology™ concepts have been relied on by speakers and thought leaders including John Assaraf, Dustin Mathews of Speaking Empire, real estate guru Ron LeGrand, national trust expert Edwin Kelly, Dave Seymour of Flipping Boston and many others. 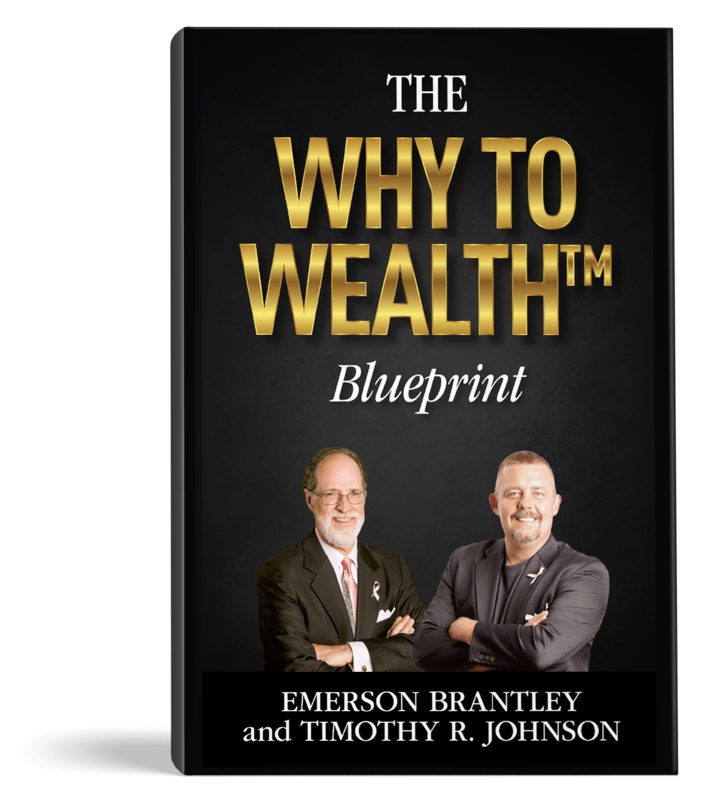 Combining his extensive marketing strategy and copywriting experience, Emerson has teamed up with business systemization and sales expert Tim Johnson to create theWhy-To-Wealth™ Marketing & Sales Strategy System. Where Emerson's proprietary Whytology™ Processzeroes in and uniquely qualifies the most lucrative prospects in your market, Tim's Proven S.O.L.D.™ Business Development Process takes them by the hand, automating your entire customer acquisition and development process, increasing average and lifetime sales and allowing you to scale your business for unparalleled growth. Now...and get the 80/20 Rule working FOR you for a change! Copyright © 2018 Why To Wealth. All Rights Reserved. Site by Nicky Pink & Co.